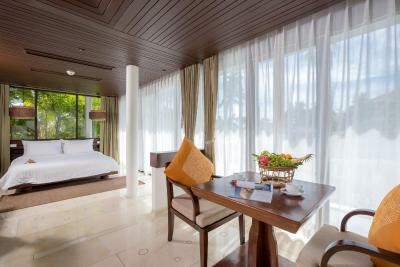 Lock in a great price for The Vijitt Resort Phuket – rated 8.6 by recent guests! 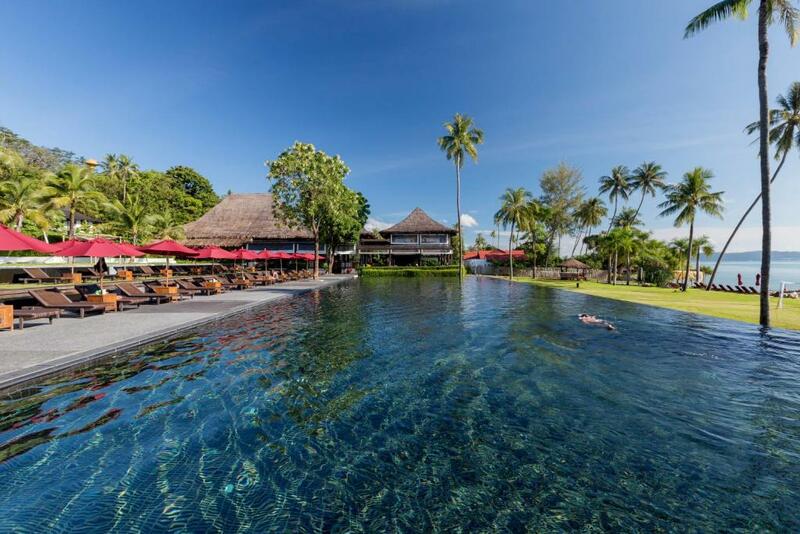 Beautiful villas and a fantastic pool. Great breakfast, too! Staff were incredible. Have never been to a place with such genuinely friendly and kind staff. Main pool was amazing and never too busy. Meals and drinks were much cheaper than we had anticipated. Villa itself was amazing and perfect for our vacation. Outdoor shower was amazing and massive bath. Did a trip to old town with their shuttle. Easy, organized and fun. Live music every night. Happy hour every night. Menu is awesome. The staff makes you feel like family and treat you like royalty. Anything we needed, they accommodated. The resort didn't feel over crowded and run over by partying. We were able to relax and enjoy the amazing views from the pool area. Buggy service is quite good to shuttle around the resort. The staff are very very nice. 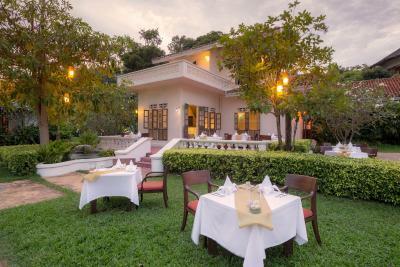 The Baan Vijit is excellent food & service. The garden and the landscape is on the top! The most amazing and accommodating staff. The property was beautiful and an insane value for the money. The food was good- several different options of different cuisines. Staff were amazing, specifically Jenny. 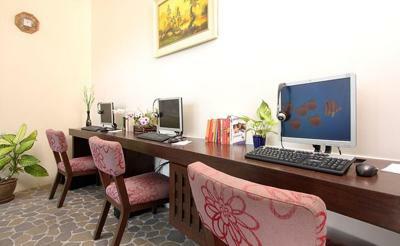 Facilities were very good and clean and overall value for money was really good. The poolside atmosphere is good. Also they communicated well in advance of any requirements I may require during our stay, which was truly fantastic. 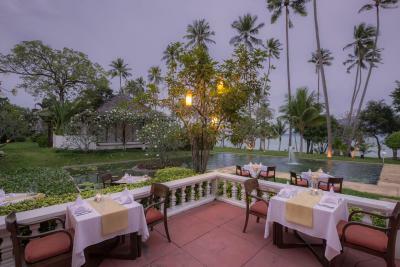 It has a private beach front and it is easy walking distance to rawai beach front and other activities. 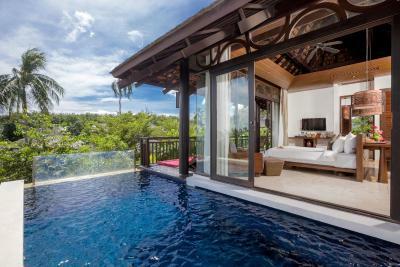 The Vijitt Resort Phuket This rating is a reflection of how the property compares to the industry standard when it comes to price, facilities and services available. It's based on a self-evaluation by the property. Use this rating to help choose your stay! 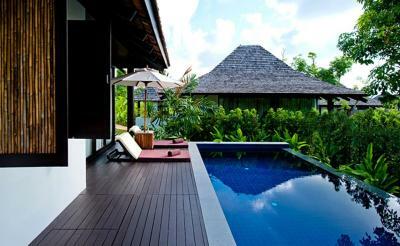 One of our top picks in Rawai Beach.Made up of spacious stand-alone Thai villas besides the sea, The Vijitt Resort Phuket provides free WiFi and a beach-facing infinity pool. A free scheduled shuttle to Phuket Town is provided. 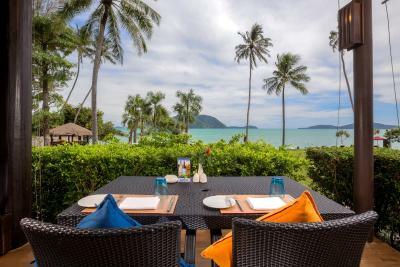 Located on Friendship Beach (Tidal Beach) in Rawai, the resort stretches over 18 acres and presents panoramic views of Chalong Bay, Cape Panwa and Coral Islands. It is less than 3.7 mi from Kata View Point and Chalong Beach. 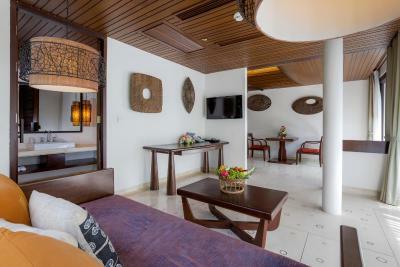 Beautifully decorated in teak wood furnishings, the air-conditioned villas are equipped with a flat-screen TV and a DVD player.The large private bathroom has a bathtub and bathrobes. 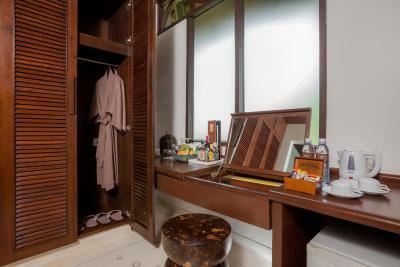 Private treatment rooms and relaxing massage therapies can be enjoyed at the spa. 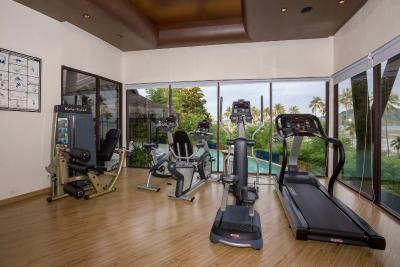 Guests can also exercise at the gym or arrange island day trips at the tour desk. 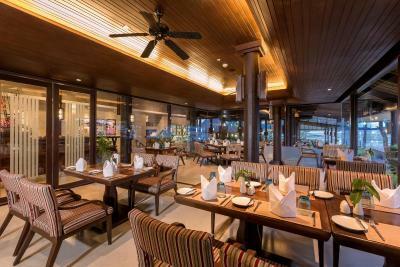 An international breakfast buffet is served daily at The Savory, while traditional Thai cuisine can be enjoyed at Baan Vijitt. Premium wine from The Wine Cellar can accompany any meal. 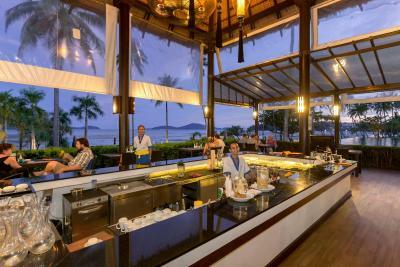 Throughout the day, light refreshments are available at The Beach Bar. 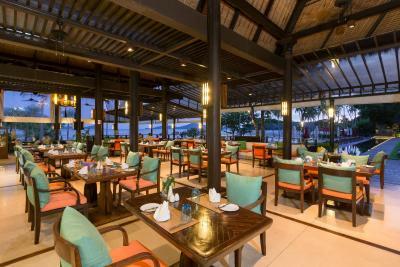 When would you like to stay at The Vijitt Resort Phuket? This villa features high ceilings and floor-to-ceiling windows. 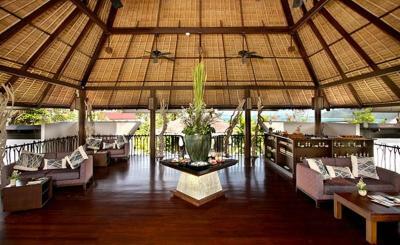 The spacious private terrace offers garden views, while the large bathroom has a bathtub and outdoor rain shower. 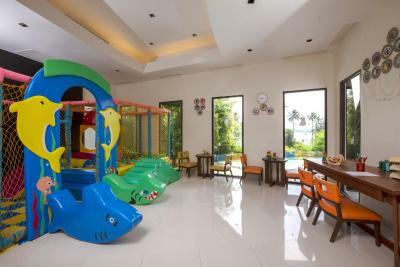 Please note that a maximum of 1 extra bed for a child can be accommodated for this villa. Please also note that preferences for twin beds need to be requested in advance (Subject to availability). 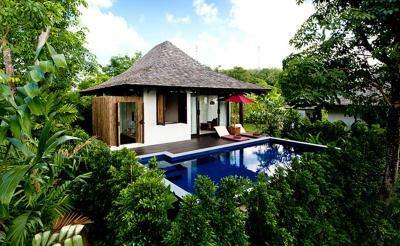 Boasting up to 178-sqm of space, Prime Pool Villas is a two-story villa with a private 7-yard pool. Amenities include a spacious terrace, a bathroom with a bathtub and an outdoor rain shower. The bedrooms are fitted with a walk-in closet. Kindly note that the villa's staircase connecting the two floors has no risers but only handrails while the private pool only has a acrylic partition on one side. 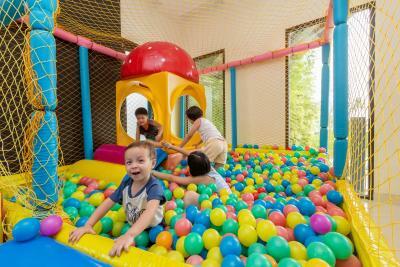 Families with children will be required to sign a liability waiver upon check in. 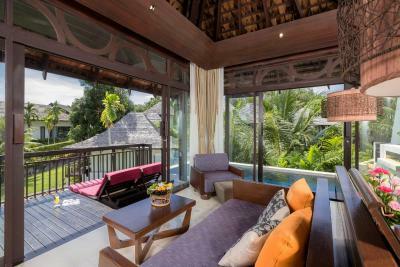 Offering sea views, this villa features high ceilings, floor-to-ceiling windows and a spacious private balcony. While the large bathroom has a bathtub and outdoor rain shower. 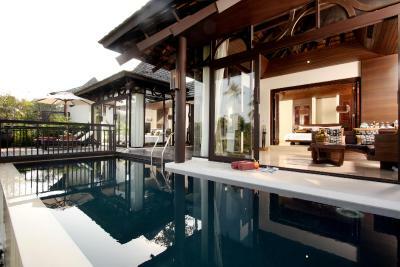 This spacious villa features a private pool and a large terrace. 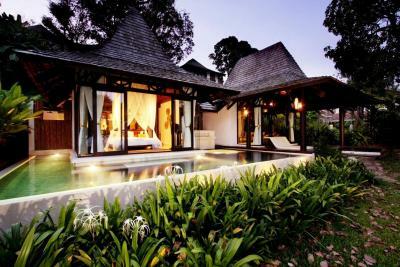 The master bedroom overlooks the pool, and includes a spa bathtub in the bathroom. The other bedroom also has a private bathroom with a rain shower. 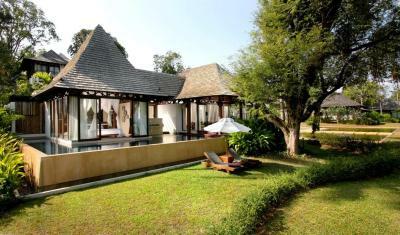 Please note, a maximum of 1 extra bed for an adult or child can be accommodated for this villa. Featuring a private pool, this villa features high ceilings and floor-to-ceiling windows. The spacious private terrace offers sun beds and garden views, while the large bathroom has a bathtub and outdoor rain shower. 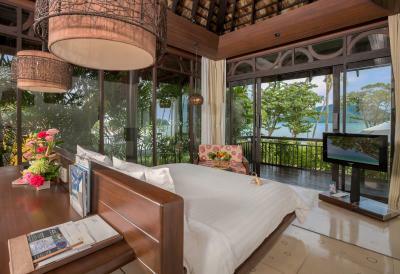 Beachfront villa features high ceilings and floor-to-ceiling windows. The spacious private terrace offers sun beds and sea views, while the large bathroom has a bathtub and outdoor rain shower. 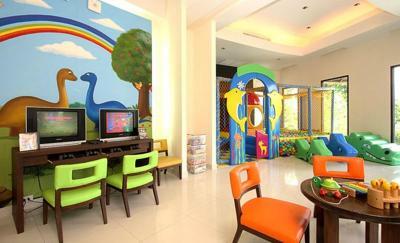 Please note, a maximum of 1 extra bed for a child can be accommodated for this villa. 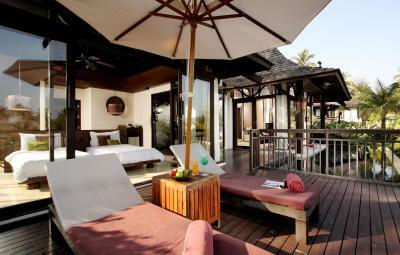 Beach front villa offers a private pool with sun loungers as well as outdoor rain shower and a bathtub. 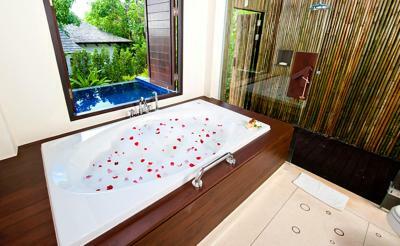 House Rules The Vijitt Resort Phuket takes special requests – add in the next step! 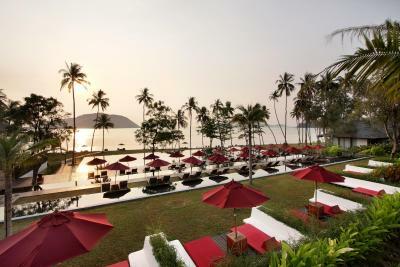 The Vijitt Resort Phuket accepts these cards and reserves the right to temporarily hold an amount prior to arrival. Please note that the name of the credit card holder must be the same as the guest's name and credit card along with a valid ID/passport must be presented to the resort upon check-in. Corporate credit cards are not accepted. For bookings made from 22 January 2018 onwards, a compulsory Gala Dinner is included in the room rates of 31 December 2018. The rates of the Gala Dinner are based on room type and occupancy (guests sleeping in extra bed will be charged separately). The grounds were great and the staff were very friendly. This was the third hotel we went in Thailand in these holidays. Comparing with the others, the location wasn't great and the transport to the nearest beach where there are restaurants, beach etc is more expensive that what we paid in others hotels with similar conditions...Also the beach where is the hotel is not the best one to swim. we ordered food to the room and they told us to leave the plates outside and they will pick them up later. They took almost two days to pick them up.... 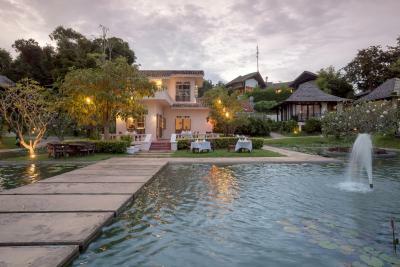 Comparing with other villa we had in Thailand this one didnt have as many details, it was way more simple. The resort is beautiful, the infinity pool is amazing. 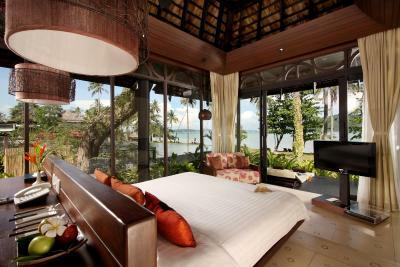 We rented the front beach villa and waking up in the morning with views to the sea was so beautiful. Grounds were seriously steep making it difficult to walking anywhere, beach was shallow and mud. No shade in the pool. 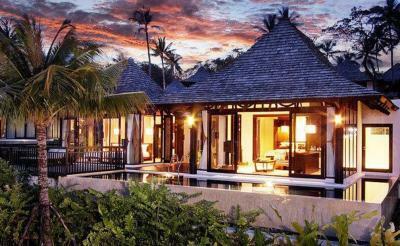 The villas are beautiful, but some are located far away from the pool and restaurants. Walking to and from the beach on hills was a little tricky as a pregnant person. Don’t come for a sandy beach. The tide is so massive that the beach is mostly not accessible. 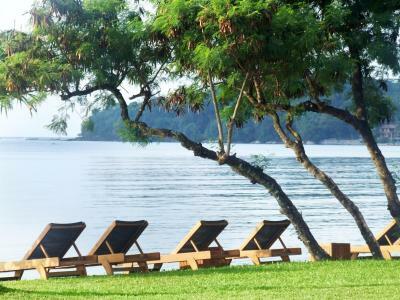 But the chairs are still set up to look over the water and lots of grass area. Beach is not really exciting. There is a strong tide every day, turning the sea into a moonish landscape. Of course, it all depends on what time you wake up. Some cayaking or paddling is possible. The location is amazing and certainly if you are looking for rest in the middle of beautiful gardens full of flowers, exotic trees, birds. 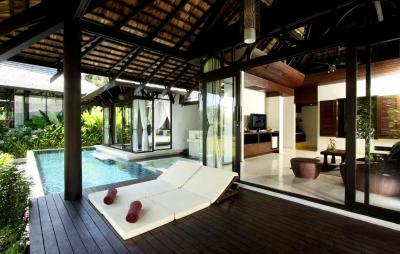 Villas look all very nice, joining comfort, style and a lot natural light. 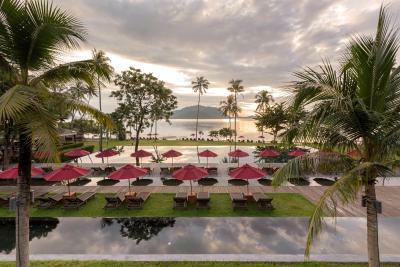 There is nursery including baths for kids, and the infinity pool that appears to be the longest in Phuket. Also well, it includes two infinity pools for kids and next to the main one. Perfect for parents. Staff is really friendly and do their best to help you at any time. You do not need to worry about the location of your villa and because within 10mn, a golf electric car will come and bring you to the pool or reception. No need to walk if you don’t feel like to. 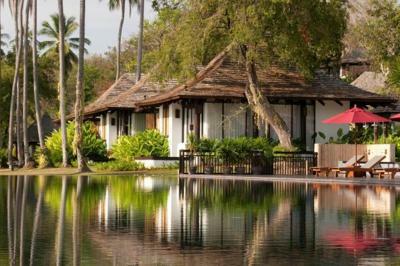 However, the hotel has more than 90 villas and I recommend walking around the land to enjoy the great maintenance of the resort. Finally, hotel can bring you anywhere by taxi. I don't know if this is something that the resort has control over since it is the season, but we had more bugs in the room then I would have cared for. Maybe if they added a mosquito net above the bed to use just in case it would have helped. We also checked into our room and it was very very hot and humid in there. Perhaps run the AC a bit before a guest checks in so that it doesn't take so long to cool down the room. When you first check in you want to unpack and organize your things but it was too hot for me to do that. Breakfast was fine but it seems that food warmers are not understood anywhere in Thailand. The only way to get a hot fried egg is to ask the cook, who will serve with a smile, then show you the pre-cooked cold ones in the warmer. Never found any hot food in a food warmer anywhere. Villas are in very bad, poor quality, outdated condition, mattress & pillows not good, very cheap low grade quality, lumpy & uncomfortable; floors cracked & chipped, no block out curtains & the resort is east facing with floor to ceiling windows so rooms are flooded with strong bright sunlight from dawn making sleep impossible! Tiny TV, furniture in appalling state & antiquated. Food @ Breakfast: Eggs were typically just warm and over-cooked, while the bacon wasn't crispy and generally hard or, just seamed under-cooked. I did get the impression the bacon was re-cycled from the previous day(s). The 'Eggs Benedict' sauce on one occasion was congealed and needed to be scraped off. The buffet food was also typically just warm, not hot. Accommodation: The buildings are starting to look tired: roof tiles falling off, paint looks dull, furniture dented/chipped, components to some furniture missing (DVD plastic cover). Would have loved to have known there were mosquito nets available. Found out too late. Cleanliness: Bathrooms need a really good clean in all the corners and a lot of the walls need washing down to remove the squashed bugs/mosquitoes. Landscape: Lots of rubbish around the villa, particularly on the bathroom side which you could see when you opened the shutters. Lots of used cigarettes around the balcony. Most of it was removed when I mentioned it at reception, but not all. We liked how quiet and peaceful it was. A very nice resort with the pretty environment, gorgeous seaside view and very kind service, where we spent a really good time. I have recommend to my friend. The rest of the resort needs some updating and some TLC. Footpaths etc need repaving. Bar area and restaurant doesn’t feel like a 5 star resort. And should be made clear that it isn’t a beach resort. It’s a tidal beach and most of the times it’s muddy. 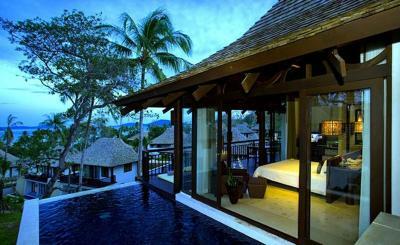 The pool villa was great. Loved it. Nothing really, everything was so great! We had a villa with private pool and our stay there was amazing. Everything from staff, to facilities, to comfort was excellent. 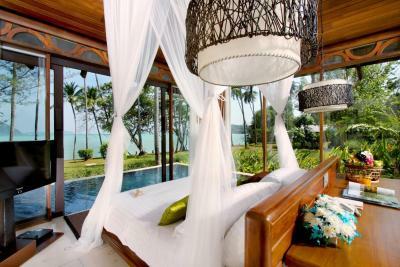 I would definitely go back if I am in Phuket.